TAZEWELL COUNTY MUSEUM: AUTHOR AND PRESIDENT OF 4 DIRECTIONS HEALING FOUNDATION ADAM DANNER SPEAKS AT MUSEUM FUNDRAISER AND NATIVE AMERICAN CULTURAL LUNCHEON SATURDAY IN MORTON, IL. 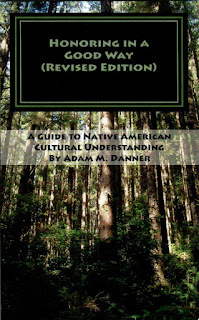 AUTHOR AND PRESIDENT OF 4 DIRECTIONS HEALING FOUNDATION ADAM DANNER SPEAKS AT MUSEUM FUNDRAISER AND NATIVE AMERICAN CULTURAL LUNCHEON SATURDAY IN MORTON, IL. The Tazewell County Museum and Educational Center held its 1st fundraising and educational program for 2012 at the Knights of Columbus in Morton, IL. Saturday which co-insides with the War of 1812 Commemoration event for the Counties Historical Commission. Guest speaker for the event was Author and President of 4 Directions Healing Foundation, Adam Danner, a National Native American Organization made up of American Indian people from different states and different tribes based out of Chillicothe, IL. The organization's cultural programs have broken down misconceptions about Native American people and traditions, and have left audiences with a new found understanding and respect from Native American people and culture. Left: Guest at the Native American Cultural Luncheon held Saturday look over books written by Author and President of 4 Directions Healing Foundation Adam Danner, and talk with one of the organizations Board Members Sharon McClellan. Right: 4 Directions Healing Foundation board member Sharon McClellan talks about Native American clothing known as (regalia). Sharon made the dress she was wearing called a tear dress. She said the dress is 1 piece and loose fitting so that the working Native American Women wearing them were comfortable. Its made of calico material. 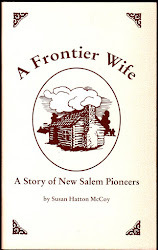 Sharon told the audience that a dress like this the National Cherokee Tribal dress. 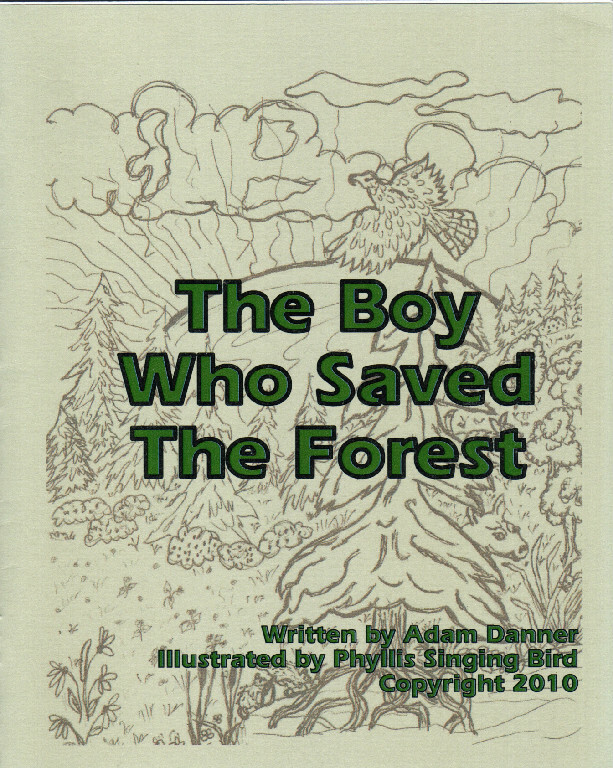 Adam has written 3 different books. 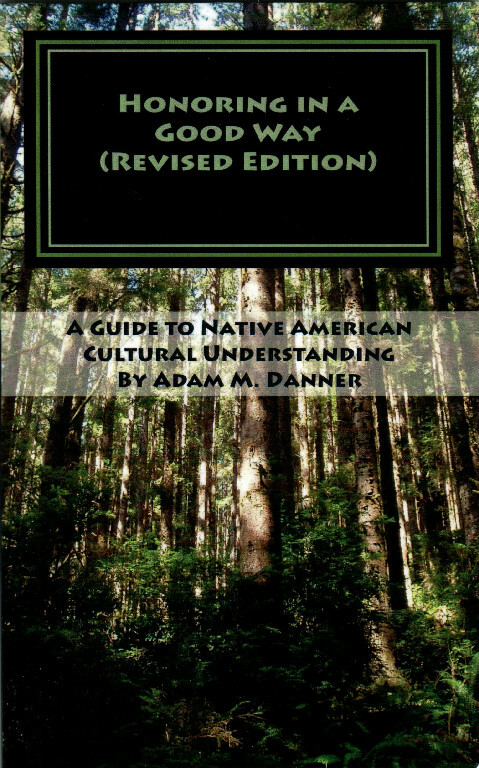 "Honoring In A Good Way"
Designed to educate the public on a variety of Native American topics by cutting through cultural misconceptions separating fact and fiction. 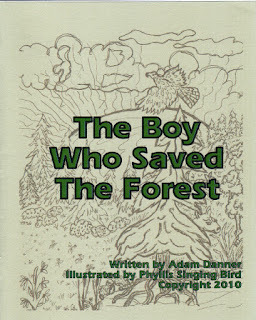 "The Boy Who Saved The Forest"
Adam told the audience that their are 560 tribes throughout the United States, and "If there's one thing I want you to take away from tonight, it's that all these different tribes have different cultures", said Danner. If you would like to contact Adam about information regarding his speaking engagement, please email him at adnice_12@yahoo.com or go to his website at www.adamdanner.com or www.4directionshealingfoundation.org to learn more. You may also phone Adam at 309-635-1107.